Happy Easter! Please note our gym will be closed for Easter Sunday. We encourage you to spend this day with family and loved ones, and to enjoy the amazing Santa Cruz outdoor delights. 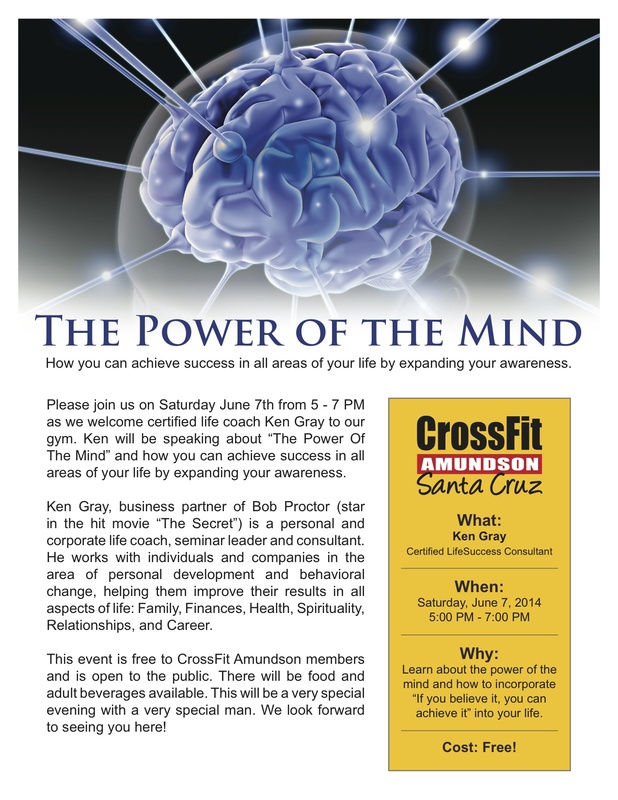 Join us at 5:00 PM on Saturday, June 7, 2014, to hear renowned “Success Coach” Ken Gray speak about, “The Power of the Mind.” Back by popular demand, the CrossFit Amundson Summer Lecture Series features topics ranging from Leadership, to Forgiveness, to Personal Success. 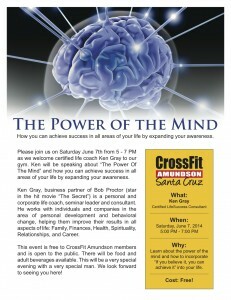 The speakers are well respected in their field, and are eager to share their life experiences with our Athletes. The lectures include free food and drink, and are open to members of the public. Space is always limited in these events, and last summer, every lecture sold out. We look forward to seeing you at the first of this exciting addition to our summer program.